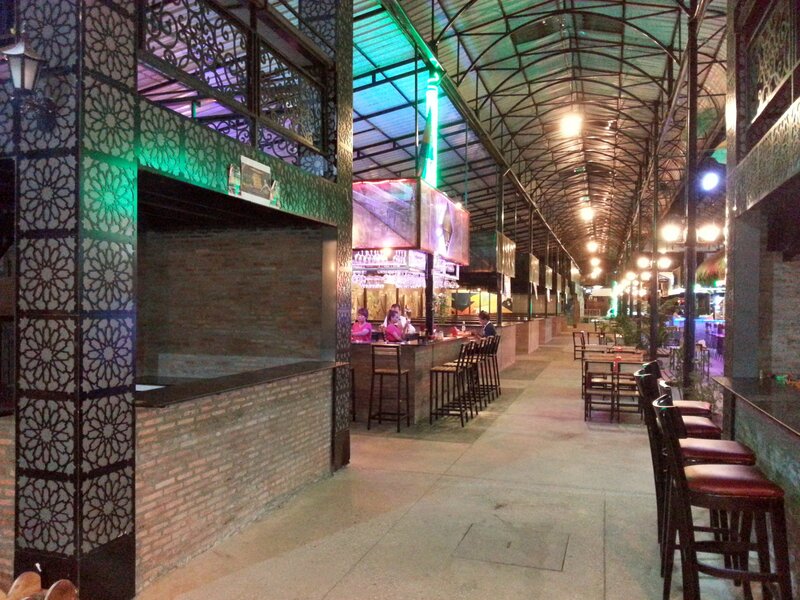 Pub Street is a new attraction located within the Golden Sorya Mall in Phnom Penh, the capital city of Cambodia. Pub Street is 24 hour venue with restaurants, bars and nightclubs located on Rue Pasteur (Street 51) a short walk down the road from Central Market. 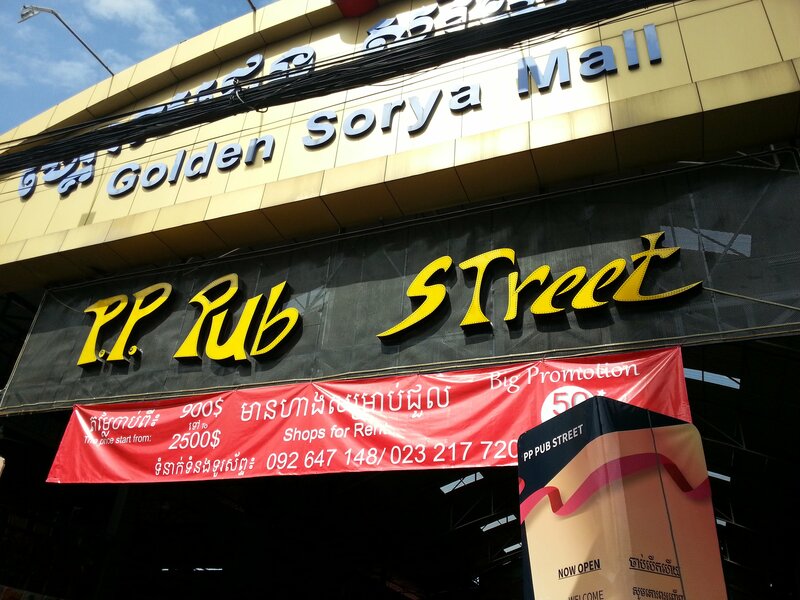 Pub Street is an attempt to re-brand the Golden Sorya Mall which has been in operation as a night time venue for over a decade. Established nightclubs such as Pontoon and Vibe have been located here for some time and they are staying, the rest of the establishments, which were very ‘sleazy’ bars, have been moved out. 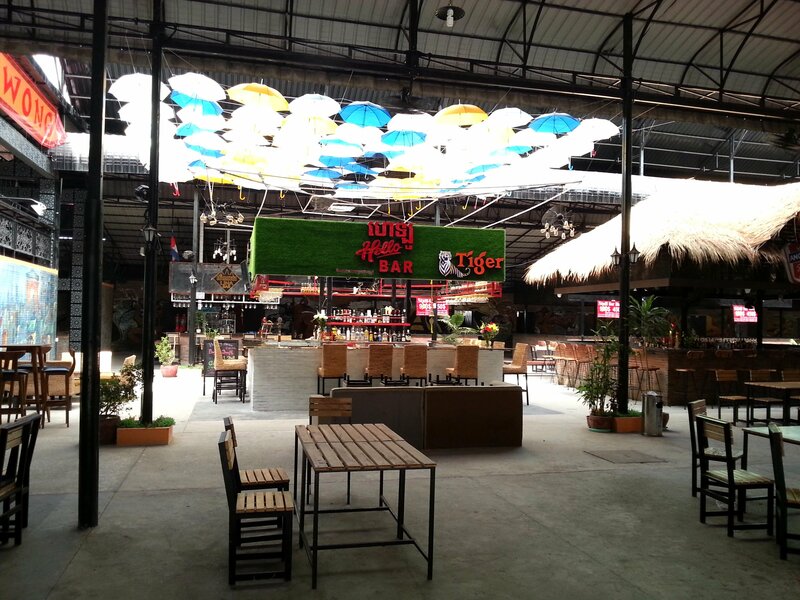 Siem Reap and Sihanoukville both have successful Pub Streets (dedicated nightlife entertainment areas) and the owners of the Golden Sorya Mall are trying to do the same thing. Pub Street has 29 units available, and to date only 5 of these have been let out and developed into bars and restaurants. 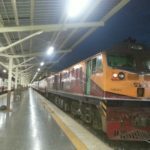 Its early to days to see whether this new venture actually works out. The Golden Sorya Mall used to be a notoriously down market type of place which was full of prostitutes, drug dealers and thieves. The place used to get a fair few customers but the rents the owners could charge were relatively low because it was such a ‘dive’. The rents on the newly established Pub Street are much higher, the advertised rates are between $900 and $2,500 USD a month, and the take up has been slow. By the end of 2018 the leaseholders of the Suzie Wong bar, one of the 5 premises let out, had already advertised the bar for rent or sale. Clearly its not working out for them at the moment. We hope the new Pub Street becomes a success. 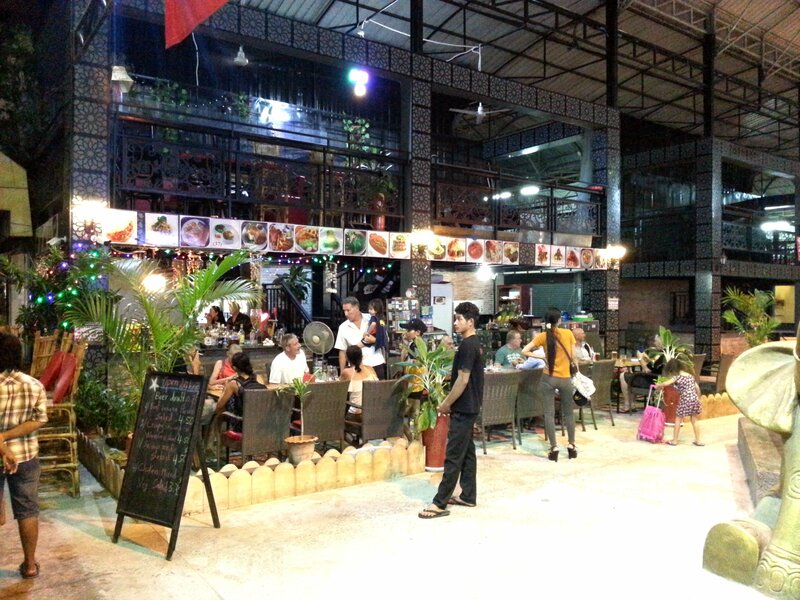 Phnom Penh could do with a more family friendly upmarket night time venue and that would help attract more tourists to the town. 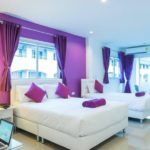 Phnom Penh is a wonderful exciting city with some great attractions, like Wat Phanom and the Royal Palace, but it doesn’t have any world class attractions like Angkor Wat and therefore needs to develop the city’s infrastructure, shopping and accommodation facilities in the same way as Kuala Lumpur to start attracting more visitors. Good luck to private developers like the owners of the Golden Sorya Mall for trying to lead the way on this as the city authorities are doing very little in terms of taking a lead on developing the city. 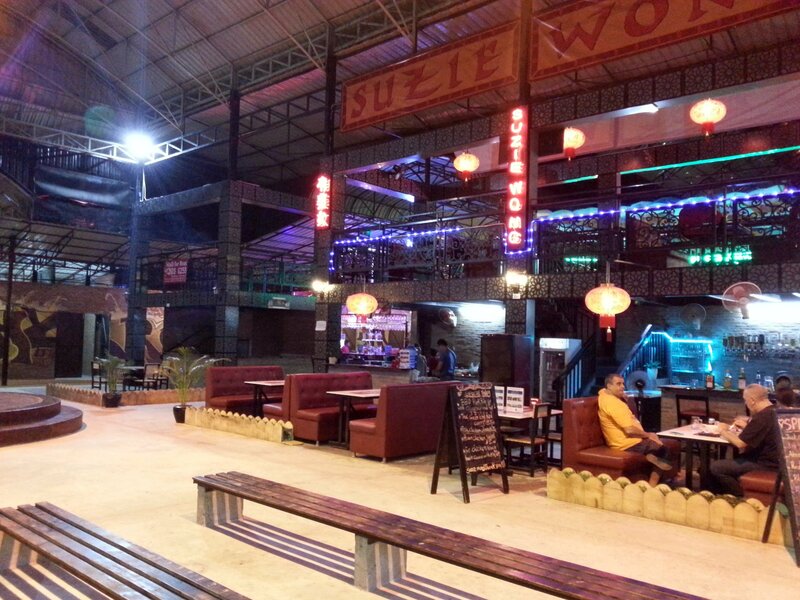 Pub Street is located 1.2 km walking distance from Phnom Penh Railway Station.